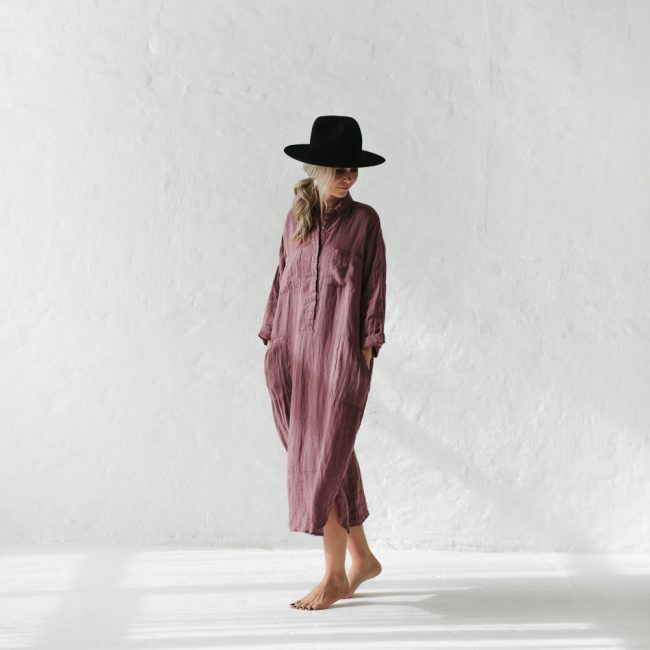 Linen shirt dress made from 100% super soft pre-washed Baltic linen. Seaside Tones delivers a unique collection of minimalist and simple wardrobe items in a neutral colour palette. All pieces are designed by Anna. Our linen is pre washed which means it is soft and drapes beautifully. 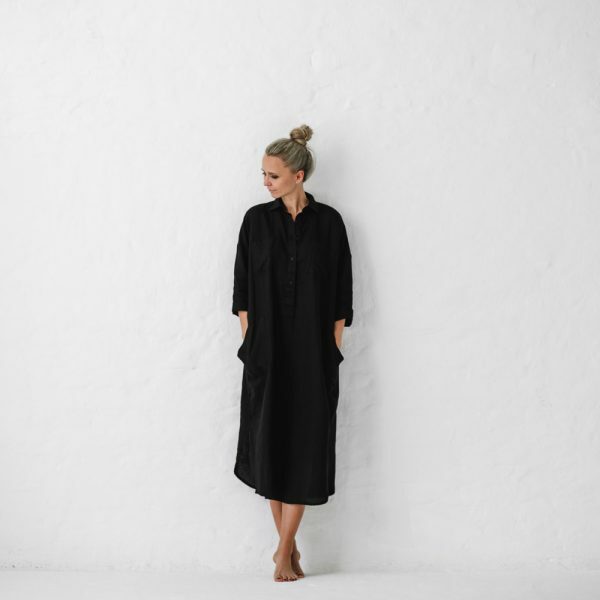 All pieces are ethically and consciously made in Poland. At the heart of the label is the highest quality pure Polish linen, renowned all over the world.